Knitting - Scandavian Lovikka Mittens! 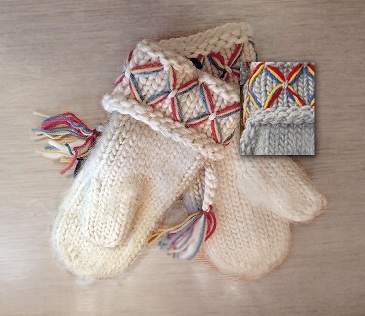 159-200g bulky, single-ply felting 100% wool for the most traditional mittens and five size 8 double-pointed needles. Red, yellow, and blue trim colors provided. Join the craze and knit on! Knit stitch experience required. Ages 14 and up.